Relationship challenges and divorce after weight surgery isn’t uncommon for patients to experience. Considering the monumental lifestyle change, adjusting to life after surgery is an emotional journey. Aside from rapid weight loss, many patients have hormones that are off-balance that are difficult to control. The emotional rollercoaster that some patients face can lead to relationship changes, problems, or divorce after weight loss surgery. Just because the divorce rate is high for certain types of marriage after weight loss surgery doesn’t mean that you will be a part of that statistic. We hear weight loss surgery patient testimonials (gastric sleeve and gastric bypass) on a daily basis of marriages that have grown closer than they were before bariatric surgery. The key component that all successful relationships have in common is the ability to be accepting no matter what and finding common ground. 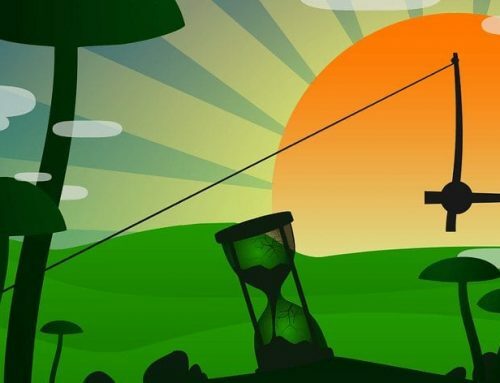 Focus on overcoming the underlying issues without going overboard on the little stuff. Counseling before and after weight loss surgery helps couples manage change. The relationship was in bad shape before surgery. A marriage that was not stable prior to weight loss surgery has a greater risk of failure. An unhealthy marriage doesn’t change just because one or both spouses begin living healthy. Partners are no longer able to relate to each other and drift apart. Most people think that weight loss surgery is simply a physical change. Ultimately it’s much more than changing the appearance and overall health. It is about lifestyles changes, emotional changes, and physical changes emerging all at once. Lifestyles Changes: Lifestyle changes after weight loss surgery are the changes that affect the quality of life, health, and habits that patients develop. Emotional Changes: Emotional changes, or hormonal changes, are some of the most dramatic changes following weight loss surgery. Everybody is different in terms of the emotions they may experience, although losing weight rapidly is a key cause of emotional changes. Physical Changes: Physical changes are typically the primary motivation for weight loss surgery. They relate to outer appearance, body size, confidence, function, and obesity-related health problems. 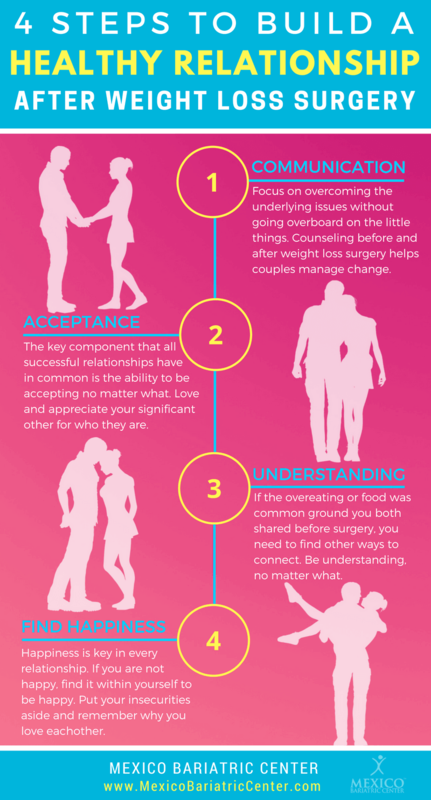 There are steps you can take before weight loss surgery to have the best chance of preparing, overcoming, and preventing divorce or relationship problems. After weight loss surgery, patients look good and feel better about themselves – leaving them to question their relationship more. Believing that now they can do better for themselves. Now they have a choice and more options. Unhealthy relationships can fall apart when one individual, or spouse, isn’t comfortable with the other losing weight. There can be a constant jealousy causing passive aggressive behavior based on the other feeling happy, confident, and looking good. Look, it is not always a bad thing to separate or divorce after weight loss surgery. Your happiness has to come first. However, it is possible to overcome any challenge in life. To have a successful marriage it is critical to be patient, honest, accepting, and always listen to your partner no matter what. Most importantly – nothing in life comes easy. You have to work hard for everything that is worth it! Remember, happiness is something everybody should have. Interested in Gastric Sleeve Surgery? Interested in Gastric Bypass Surgery?